Package consolidation and forwarding has been around since the camel caravans started moving spice and silk along The Grand Trunk Road. Today it's jet planes and ipads. But who's doing the packing? We get it all done with a handful of dedicated packers and a bunch of robots. Randy has been managing warehouses and running logistics operations for over 15 years. Ken designed the website experience from an international shopper's perspective. 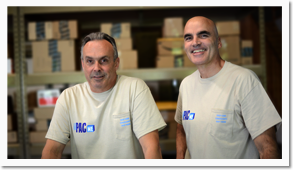 International shipments can get knocked around, which is why we carefully repack your items, not just your packages, into PacMe's double-walled strong box. It will arrive intact because PacMe packed it! We log your incoming packages, scan the invoices, and photograph the contents. Every package has its own dedicated chat box for support. Walk through the consolidation options yourself or set your defaults and ship with one click. Purchases sent to Oregon are tax-free. Save nearly 10%. Our pricing is straightforward. Pay only for what you need and use. 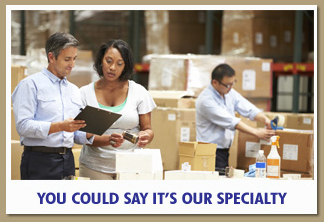 We'll consolidate your items, not just boxes. Say "No!" to dim weight. We pass on our deeply discounted shipping rates to you.